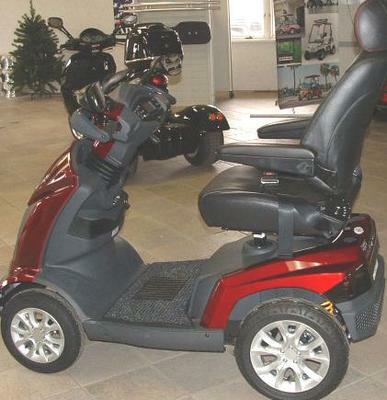 The perfect used EV Rider Mobility Scooter THAT YOU ARE LOOKING FOR is for sale right here at a great price. THE EV RIDER IS A HIGH QUALITY SCOOTER THAT COMES FULLY EQUIPPED WITH A FULLY FUNCTIONAL SUSPENSION THAT IS KNOWN TO PROVIDE A COMFORTABLE RIDE. THIS SCOOTER HAS A LONG RANGE THAT WILL TAKE YOU FROM 20 TO 33 MILES ON A SINGLE CHARGE. THIS MACHINE COMES WITH FULL INSTRUMENTATION AND MORE. If you have any questions regarding the specs or capabilities of the EV or if you would like to make an appointment to see it in person you can schedule an appointment using the space below that has been provided by GoGoCycles Used Motorcycles for Sale (and PLEASE do not neglect to include your contact information in your email or to provide a phone number or email address!) so that I can respond with answers to your questions or set up a time for viewing as quickly as possible. In my opinion you will not find a better deal on a scooter on Craigslist or in an Ebay auction! GoGoCycles would also encourage bikers to submit a review of theEV Rider Mobility Scooter to make the biker community aware of any problems that are commonly associated with the the EV model or to highlight its positive features and help potential buyers make informed decisions. Email me, Robert, today and don't forget to mention that you found this ad on GoGoCycles Motorcycle Classifieds www.gogocycles.com using the comments forms located on this page. Hi, My mom is sick and we are in need of A scooter. Affording one is difficult for us. We get one income. I'm her only Child and I'm 12. I have not done many things because mom can't get out an about. We are looking for an all terrain scooter for a man that has MS. He need one that has large wheels as he used it to get around town and up and down hill.